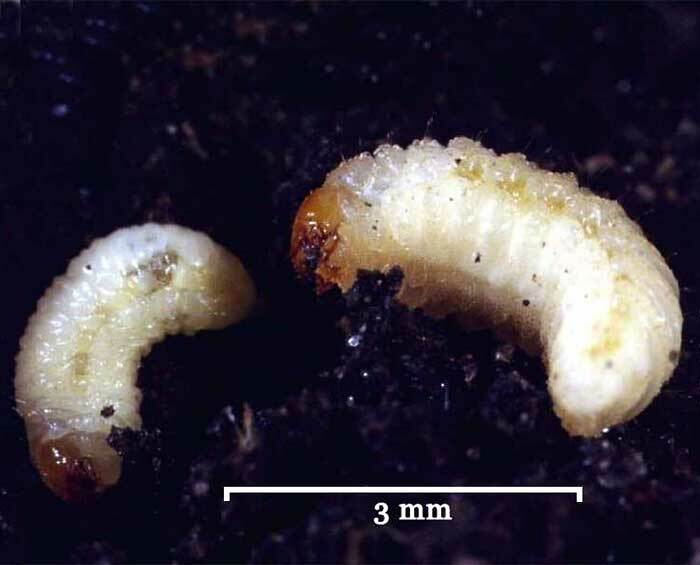 While clover is abundant and summer rainfall high or irrigation used most weevils remain reproductive and stay in the pastures they lived in as larvae. When there is drought and clover is limited a large proportion of weevils stop being reproductive and instead develop flight muscles and disperse to new locations. Once they have located a suitable site the flight muscles atrophy and the weevils again become reproductive. 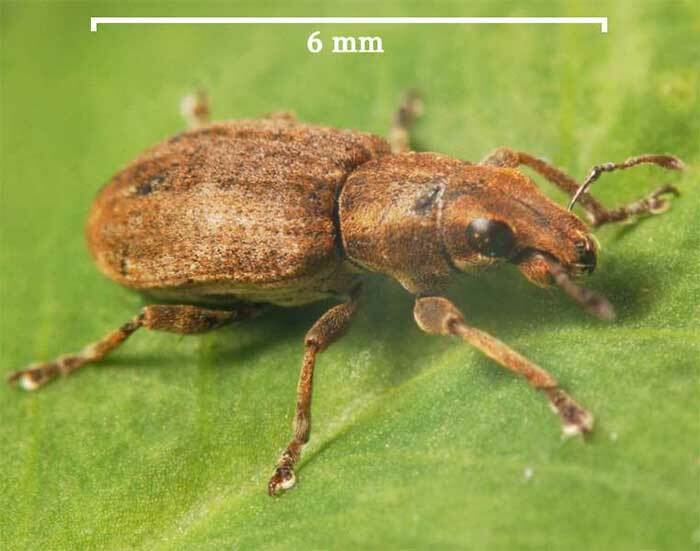 Clover root weevil is a very proficient hitch-hiker in hay and vehicles and it is probably by this method that spread in the South Island is currently occurring. Although adult feeding damage is most noticeable, feeding by larvae is more damaging. 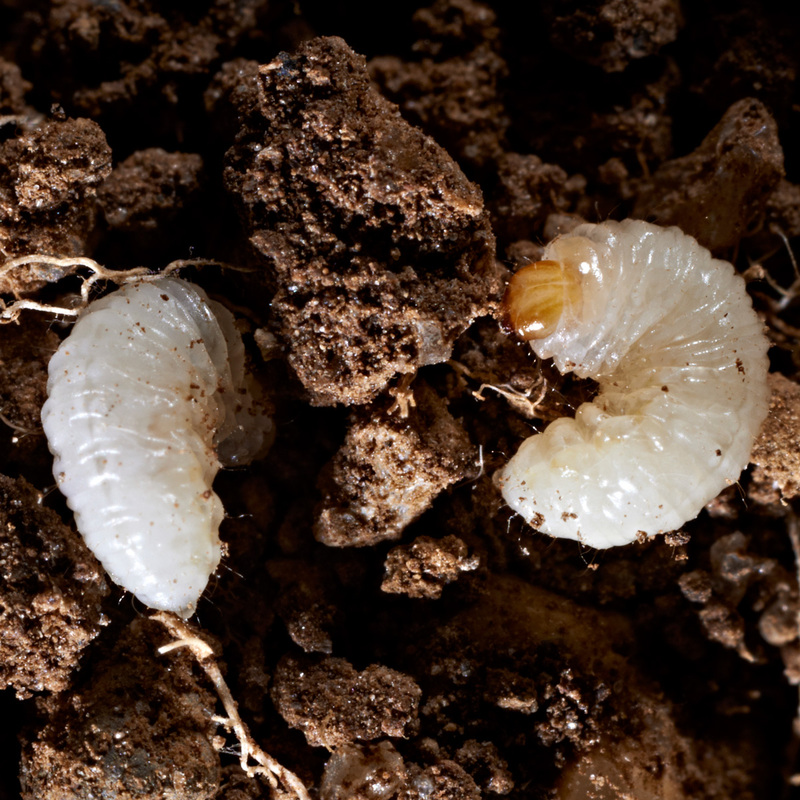 The young larvae feed on root nodules and later the roots. This reduces the plant’s ability to fix nitrogen from the atmosphere and reduces plant growth. A reduction in nitrogen fixed also impacts on the growth of other pasture plants and leads to an increased requirement for nitrogen fertiliser to be applied. Moderate populations of larvae (approx 300/m2) have reduced clover production in the North Island by 35% (1000kg DM/ha) annually with greatest losses occurring in spring. Without additional nitrogen it has been estimated a typical Waikato dairy farm would suffer a 16% reduction in net profit. Initially during the invasive period larval numbers as high as 1800/m2 were recorded on North Island farms and similar levels could be expected in the South Island. 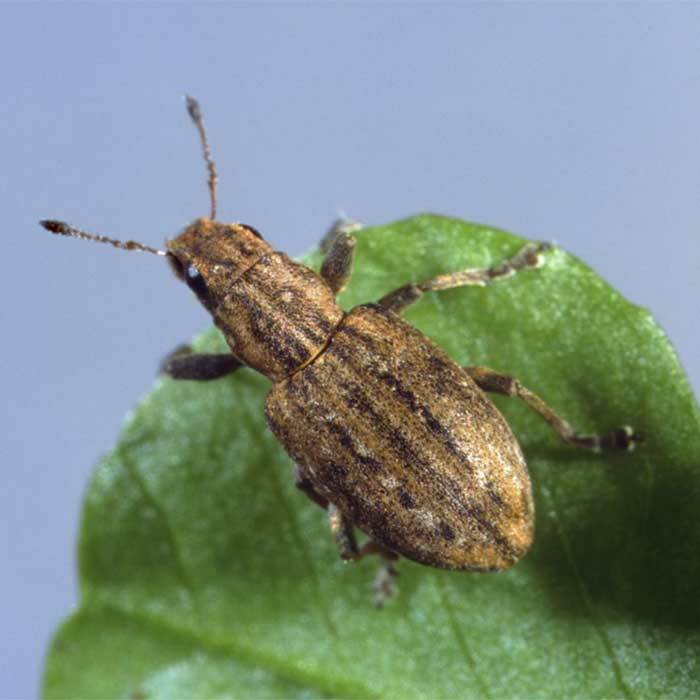 An extra 180 kg N/ha was required on some farms to alleviate the impact of the weevil. Left unchecked MAF have estimated clover root weevil could cost New Zealand between $200m and $1b per annum. Establishment of clover seedlings at sowing can be improved by utilising break crops rather than straight pasture to pasture rotations. A brassica or an all grass break crop will provide a clean paddock to which clover can be re-introduced. Clover management to maintain healthy plants is important. A healthy plant can tolerate more feeding pressure than an unhealthy plant. Adequate fertiliser should be used to keep clover growing in the presence of the weevil and to keep other pasture plants, that would normally benefit from clover nitrogen fixation, healthy as well. 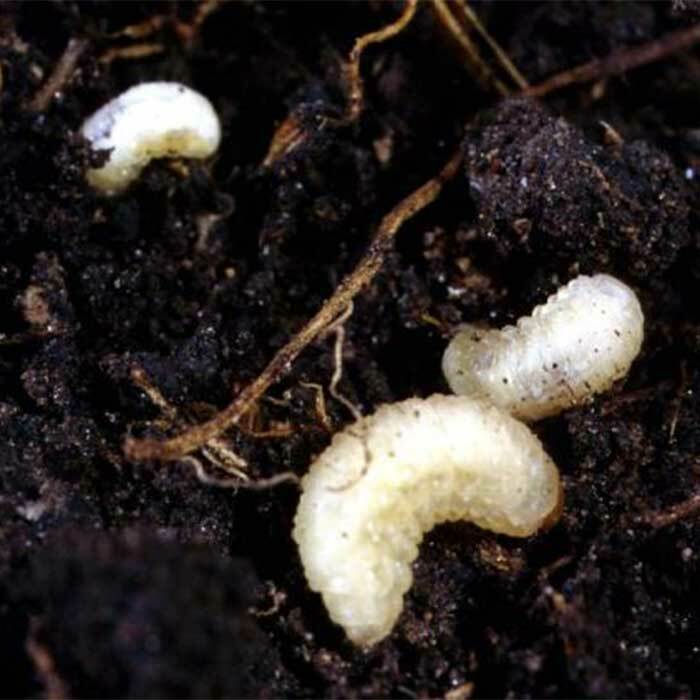 When clover is put under pressure by clover root weevil not only do the larvae consume nodules but the plants respond to the stress by reducing nodule production. Compensatory nitrogen should be applied frequently to infested pastures in small amounts. Clover should not be put under stress by other factors, do not overgraze and avoid pugging of soil over winter. 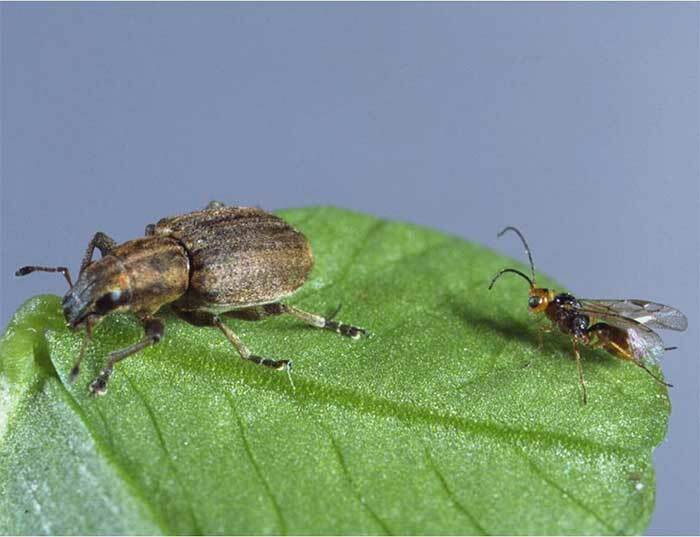 In 2006 AgResearch introduced a small parasitic wasp (Microctonus aethiopoides)as a biological control agent against clover root weevil. This wasp has been released at numerous locations in the North Island and is now very widely distributed. Releases in the South Island have taken place in on farms in Nelson, Marlborough, North and mid-Canterbury Otago and Southland. It has established rapidly where it has been released and appears to be effective at reducing clover root weevil populations. The wasp is also spreading from those areas at about 15-20 km per year. More releases are planned for 2011-2012. 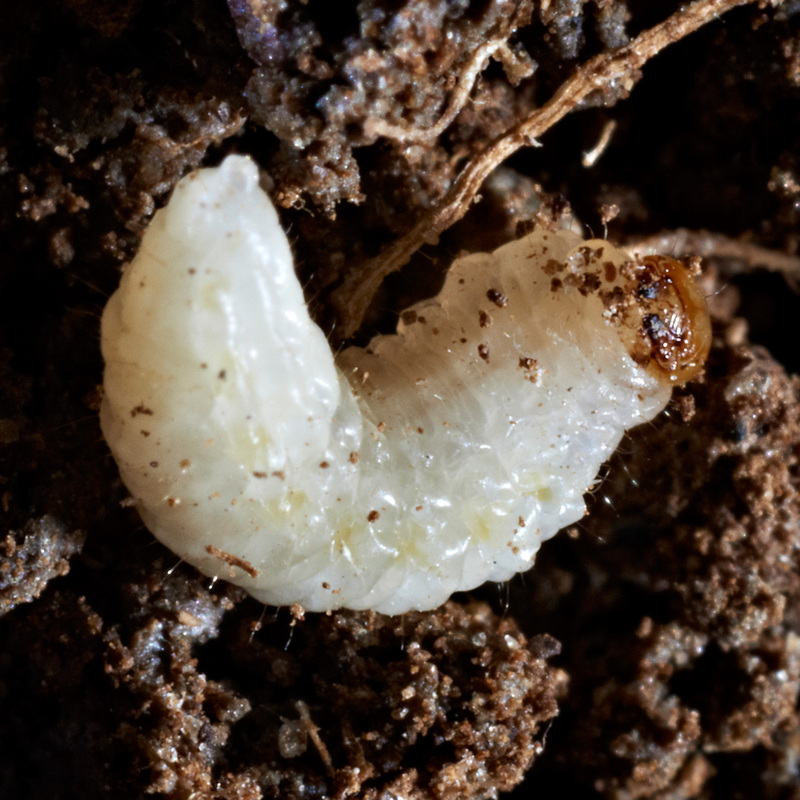 This biocontrol agent will not eliminate clover root weevil or the damage it causes, but it will reduce the impact the weevil has.